We’ve officially entered into the “dog-days” of summer here in the mid-Atlantic states. When I think back to the biting cold wintertime in January it seemed that summer would never appear, yet it has arrived in full force. I use this metaphor because it closely resembles the electronic health record (EHR) optimization challenges that many of us face. After years of toiling, building and deploying, users are asking for more out of their EHR; and rightfully so! Industry statistics indicate that users in all industries tend to use between 50 percent and 60 percent of the functionality provided in their core application suite. Given this stat, providing on-going education and system personalization to the staff becomes a natural next step and an excellent opportunity to empower users with more system proficiency. 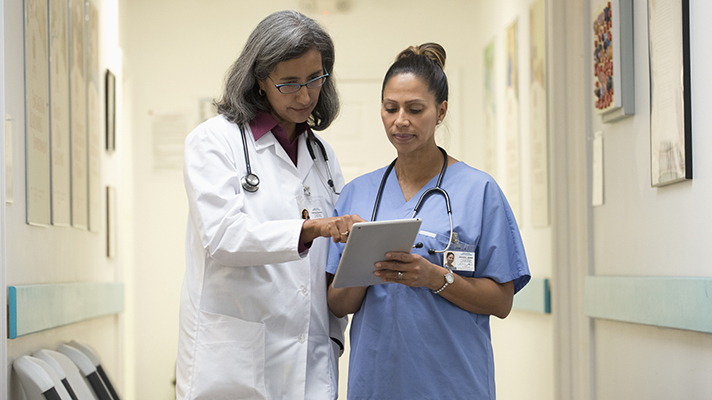 When clinicians are live on the EHR for several months after implementation they gain a better idea of how the system flows and are more familiar with specifically what needs to be adjusted. In addition to building upon user education, we have also taken the step to administer the KLAS organization’s Arch Collaborative Survey, which measures a user’s overall satisfaction with the EHR. This is not a survey that is for the faint of heart as the results — and most particularly the comments — can really get your attention. The feedback serves as one way to measure your community’s overall satisfaction and compare the results to other organizations that have also taken the survey. From my perspective, results from surveys such as the Arch Collaborative along with on-the-ground feedback are excellent data points in planning your optimization strategy. Interestingly, through our efforts, I have yet to find an “ah-ha” moment from any of the feedback received. In general, clinicians are busy and more of the electronic work effort falls upon their shoulders. Clinicians want ease of use getting data into the EHR and, in turn, would like more value delivered in getting data out of it. This latter point seems to be the one in which most vendors and organizations continue to struggle. Addressing these struggles can be tedious work as time constraints, varying levels of system knowledge and overall interest varies from clinician to clinician. Thus, a consistent approach of ongoing training (often shoulder to shoulder), personalization of system flows and improved access to knowledge are tried and proven roads to ongoing empowerment as we seek to build new inroads in the data value and knowledge transformation territory. Though the dog days of summer will soon come to an end as the brisk autumn days’ approach, optimizing is a year-round effort that will span many more seasons to come and go.